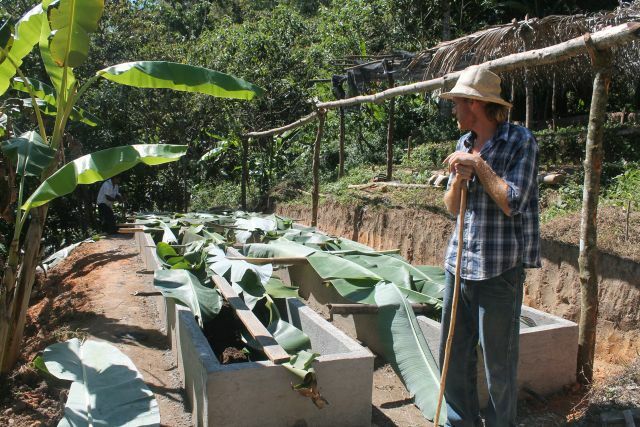 In 2005, Robin Cleaver, a long-time resident of Puerto Escondido, and his associate Victor Lepe bought a small coffee farm in the mountains of San Juan Lachao, Oaxaca, 90 minutes from Puerto Escondido. 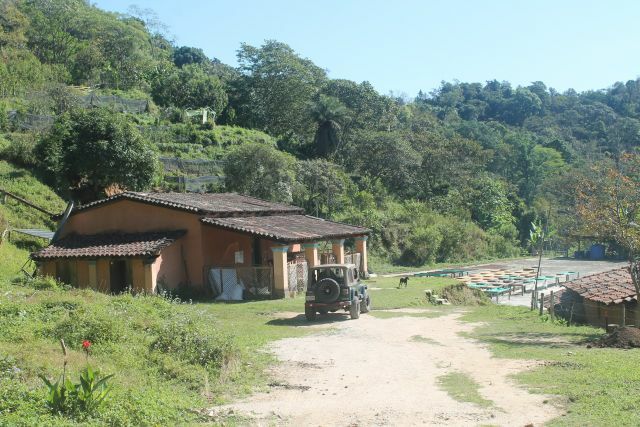 Although Robin had no experience growing coffee, it had long been his dream to have a finca. 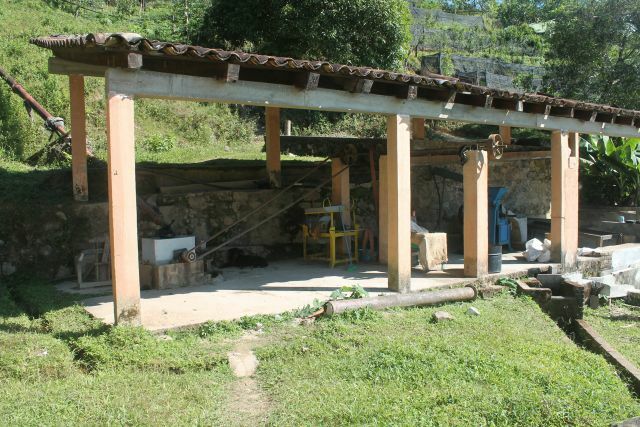 When he had the opportunity to buy the “Finca las Nieves” from Eduardo Rojas Galindo he did not hesitate, drawn as much by the beauty of the mountain forest as he was by its potential. At that time the farm was more or less abandoned. 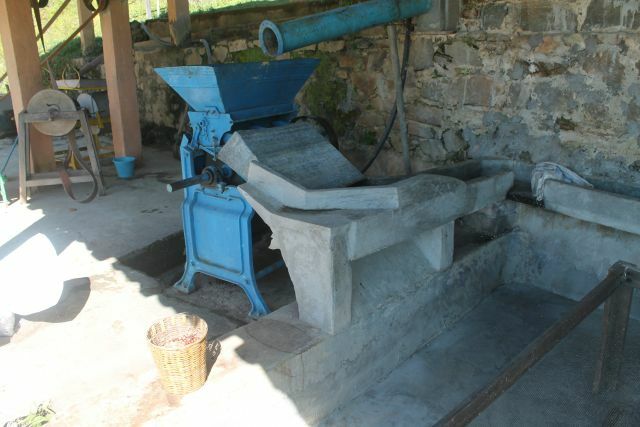 In its heyday, it had been producing 2,000 quintals (sacks) of coffee a year, but it only produced 50 in 2005. This year the harvest will bring between 200 and 300 quintals, and Finca las Nieves was one of the finalists in the 2104 Mexico Cup of Excellence competition. The Cup of Excellence is sponsored by ACE (Alliance for Coffee Excellence) an international organization that promotes and auctions specialty, organic coffee. Thanks to its high rating, Finca las Nieves coffee is now sold in specialty coffee shops in Oregon and New Zealand. Altitude and soil are the two basics for growing coffee. Good coffee cannot be grown at less than 1,000 meters, Robin explains. His coffee trees grow on steep slopes between 1,200 and 1,500 meters in the shade of an old growth forest. Organic fertilizers enrich the soil and organic fumigation controls the pests. A work force of 20 tends the finca’s 20,000 trees all year long. The coffee harvest begins in mid-November and continues into February. The fully ripe cherries have to be selectively picked; this is the most labor-intensive part of coffee production. The cherries are then de-pulped and the coffee beans allowed to ferment for 24 hours. 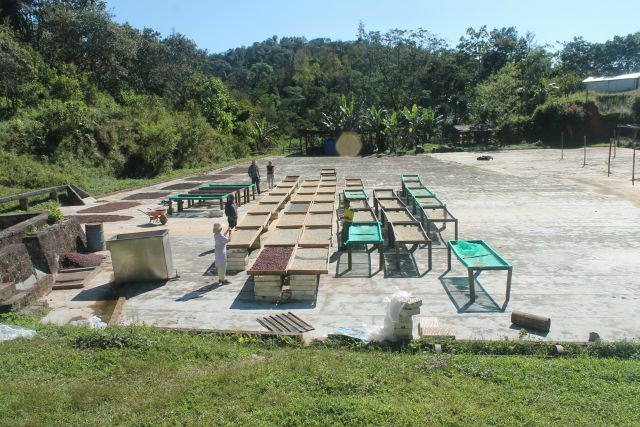 What follows – the drying of the beans – is crucial to the flavor of the coffee. The finca uses a wet process (café lavado) that includes one day of drying in the sun followed by around 20 days in the shade. Robin notes that the Internet has been a great help in learning the latest drying techniques. The coffee trees do the work of producing the cherries, but the workers have to be out all year pruning the coffee trees as well as the trees they grow under in order to control the shade. The young trees from the nursery have to be transplanted in early summer and then protected from weeds and disease. Quality control and the production of organic fertilizer are the responsibility of Gustavo Boltjes, who is one of only 40 Q-cuppers in Mexico certified by the Quality Coffee Institute. Although Gustavo grew up in Mexico City, he came to Puerto every year with his family from the time he was a baby. After receiving his degree in Environmental Science from the British University of East Anglia in 2006, he started working for the Finca. He also oversees the roasting which is done at the Expendio de la Finca las Nieves, next to the Hotel Santa Fe, and shipping the coffee throughout Mexico and abroad. High-grade, organic, specialty coffee is not cheap or easy to produce, but Robin and Gustavo are convinced that niche coffees are Oaxaca’s best chance to compete in the global market place.